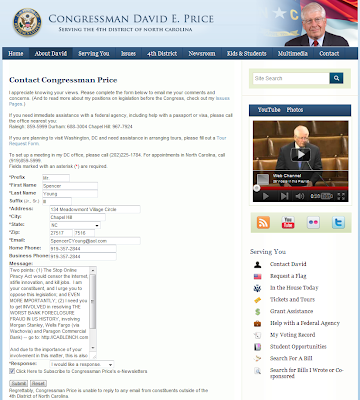 And due to the importance of your involvement in this matter, this is also being posted online at: http://www.morganstanleygate.com/2011/12/congressman-david-e-price-asked-to-help.html. Note: A follow-up phone call was made to Congressman Price's office click here to hear how it went. (recording was made in accordance with applicable Federal & State law).